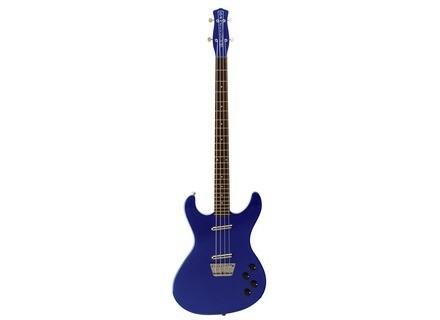 DHD4BL - Metallic Blue, 4-string bass guitar from Danelectro in the Hodad series. The Danelectro Hodad is back with a set of reissues in guitar and bass form. The new Hodads – all at £429 UK RRP – are available in Black, Blue Metallic and Red Metallic as guitars, and in Black and Blue Metallic as basses. Similar to their predecessors in looks and features, they all feature maple C-shape necks with rosewood fingerboards along with the masonite-topped body. The pickups are of the classic Danelectro lipstick variety, with two single coils on the basses, and two pairs of lipsticks on the guitars (with a coil tap option available via a push/pull pot). Check out www.jhs.co.uk/danelectroguitars.html and www.danelectro.com for more details. Acoustic 360/361 Bass Amp The GPG Co./ Acoustic USA is now launching its re-issue of the original Acoustic 360/361 bass amplifier. G&L M-2000 & M-2500 Basses G&L releases the new Tribute Series M-2000 and M-2500 electric basses. Fender Bassman Pro 100T Amplifier Head Review Tubes are the El Dorado for all people who think that bass amps were better before. Nostalgics can take their bell-bottoms out of the closet and grow their hair long because all-tube technology is back!